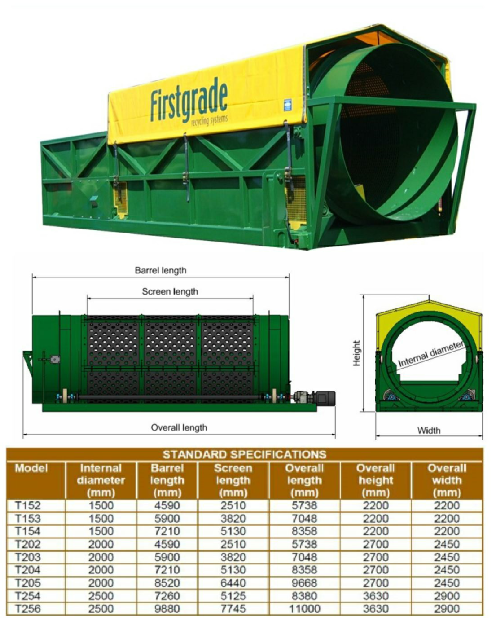 Firstgrade design and build Trommel Screens to the highest specification for trouble free operation in a tough enviroment, mounting directly over bunker walls eliminates the need for conveyors and reduces the space required. Each Trommel is custom built to suit individual requirements. For heavy material, 10mm thick replaceable punched plate screens are used. For finer screening, woven wire screens are available.